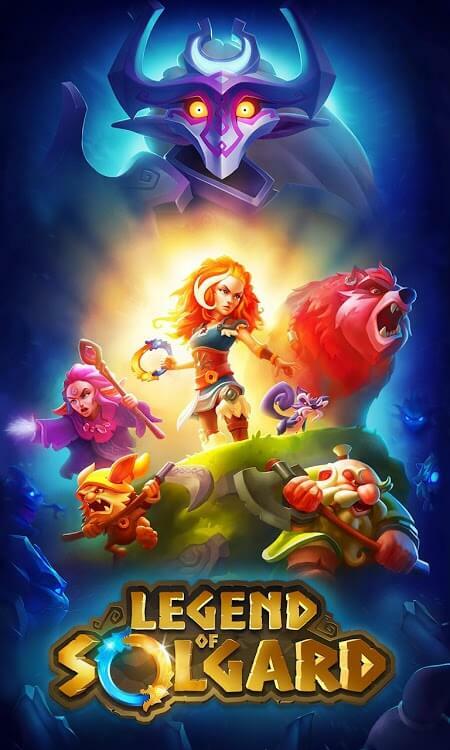 Welcome to the world of the legendary Nordic game with the extremely attractive game called Legend of Solgard. 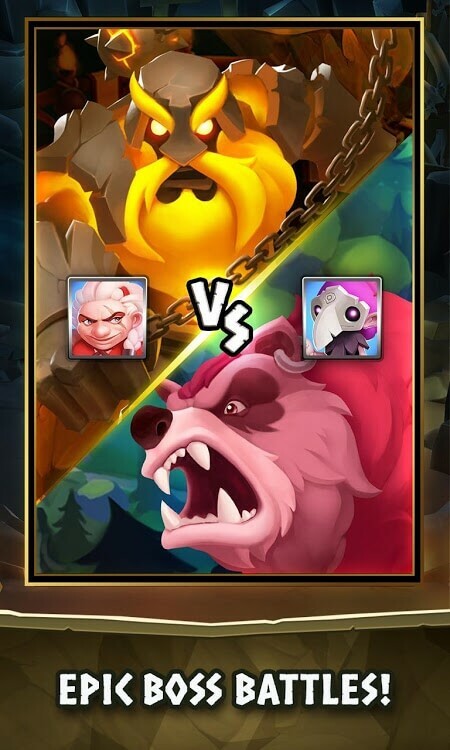 The game was released by King game developer and promises to give players a great experience by its unique and original content. And if you are looking for a game that can make you feel good and help you have fun and relaxing moments, then this is a perfect choice! The entire Solgard region is turning into winter, with all the creatures trapped in ice and the world is on the verge of returning to the ice again. The earth began to be at risk of extinction. At this moment, only Embla can stop it. With the power of the Sun Goddess, Embla can save the creatures trapped in the ice and gather them against the frosty dark forces that are trying to take over the world. When you participate in the game, you will be role-playing to be extremely cute and cute girl Embla. And you will be taught how to play to help you get a basic understanding of this game. Your task is extremely simple. It is a collection of creatures trapped in ice sheets and along with them explore the lands and save them from freezing invasion. You will start at level 1 and be given two gift boxes that open up any 2 creatures. At the first level, you can only summon 2 creatures to battle. You will along with the creatures that pass the adventure. Each level will require turn-based combat. After you take 3 turns, the enemy will attack you. 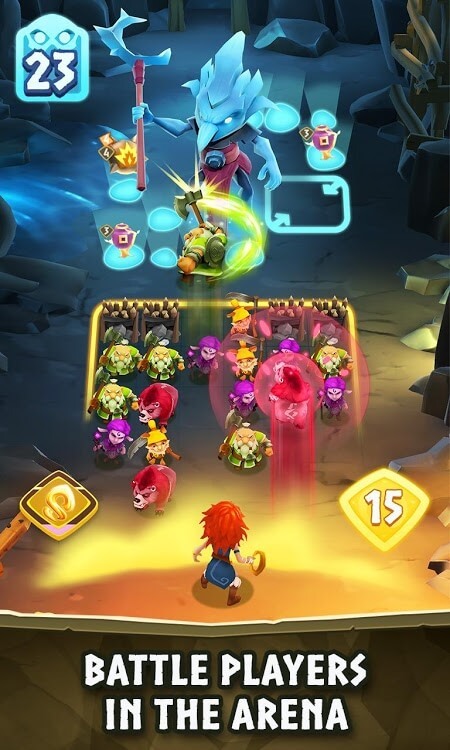 Enemies will summon troops in any location, and you will summon many of your troops. You will have to pair three creatures of the same species to transform into a higher species. The more you change, the higher the level. But it is important that in three steps you can turn the creature in the right line with the enemy’s troops. That way your troops can attack. Because they only attack in a straight line. After 3 steps, the enemy will attack you. 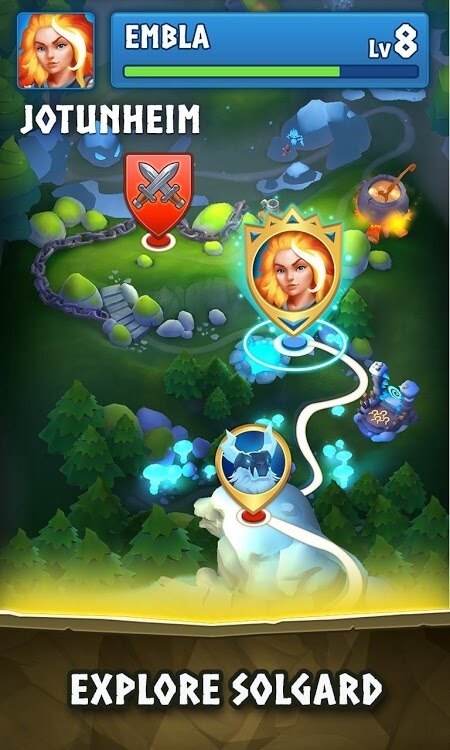 If within a specified number of turns you can not break the ice that is invading the land and the boss of this level, the enemy will kill you. Pay attention to Embla’s blood while you fight to calculate the useful moves. The game seems easy but the calculation to win is not simple at all! 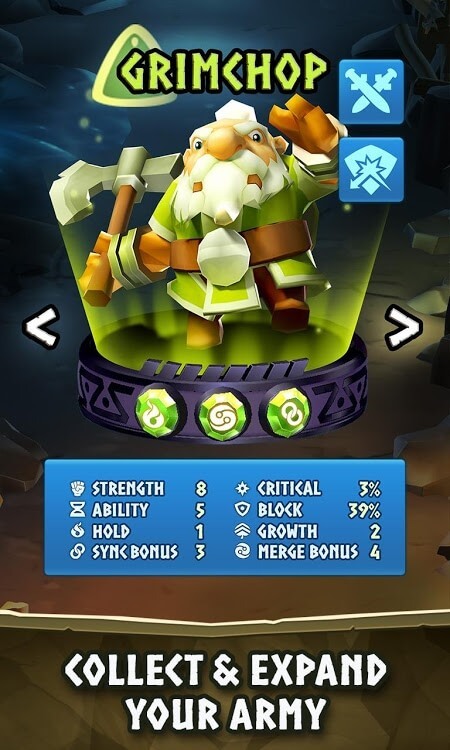 At higher levels, you can open up to 4 warriors. And after successfully passing an expedition, you can open up any new creatures and fragments that enhance the power of your creatures. You will also receive a bonus for exchanging gift boxes. Depending on the type of chest, such as copper, silver, gold, … which can open different species of rare animals. And the rarer the creatures, the higher their power. Feed your army and pass through all the adventures, saving the world from extinction. The game has an extremely graphic design. With chibi style extremely cute, the strange creatures are designed very cute will definitely make you love it. The colors in the game are varied and bright with beautiful effects. The live sound will give you the most authentic experience! If you want to be a hero to save the world from the end, or simply want to experience novelty, the Legend of Solgard MOD is definitely a great choice. With a new playstyle need an excellent tactical thinking and vivid graphics, beautiful; The game will help you get the perfect relaxing moment.